2 Fish farming is the practice of captive-raising fish for consumption or other human use. It's also known as aquaculture. Fish farms can be located in freshwater lakes, indoor tanks or saltwater cages in the open ocean. Shellfish such as shrimp are also farmed. Fish farming now accounts for half of all fish consumed worldwide, according to Stanford University. Yet the process has its disadvantages, ranging from disease control and ecological hazards to a waste of water. First, water flowing out of an aquaculture facility can carry the by-product created by farmed fish. The by-product contains bacterial substances that pollute the sea. These may harm surrounding habitats, and poison ocean wildlife. Consequently, the wastewater being discharged from an aquaculture operation may have severely negative impacts on the sea. Second, offshore aquaculture uses cages. These containers, even if well engineered and built, will allow some fish escapes into the open ocean, due to various complications like severe weather, equipment failure or human error. When farmed fish invade local areas, they can breed with natural populations, causing genetically changed species. 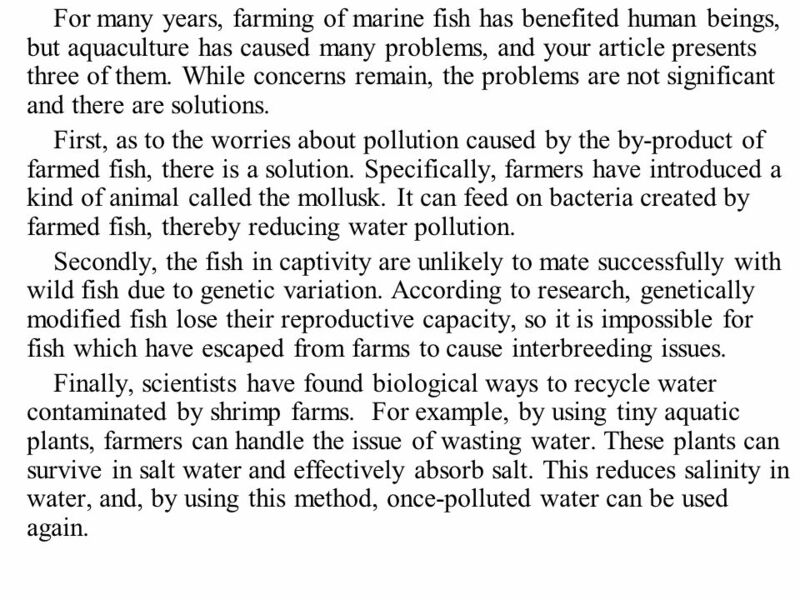 Third, ocean fish farming can cause a waste of water. When it comes to a shrimp farm, up to 40 percent of water must be exchanged with fresh water every day in the shrimp farm in order to maintain the necessary levels of salinity. 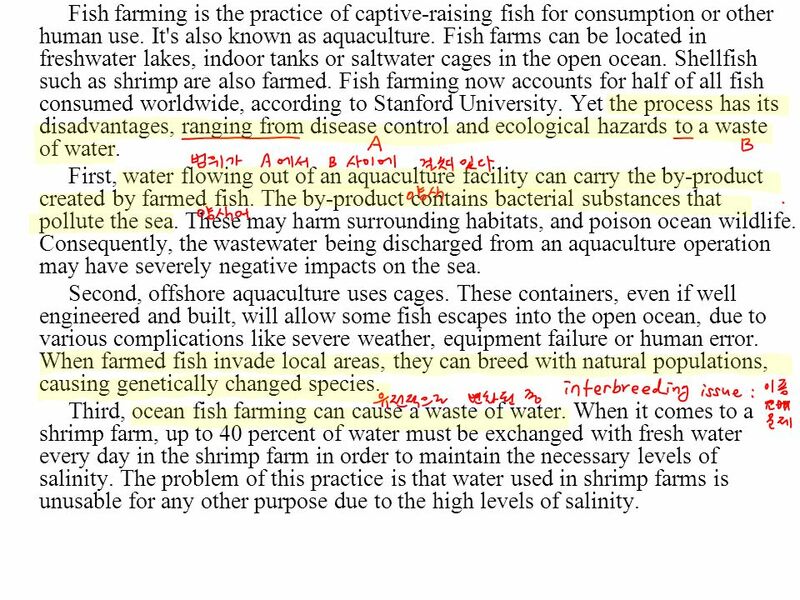 The problem of this practice is that water used in shrimp farms is unusable for any other purpose due to the high levels of salinity. 4 For many years, farming of marine fish has benefited human beings, but aquaculture has caused many problems, and your article presents three of them. While concerns remain, the problems are not significant and there are solutions. First, as to the worries about pollution caused by the by-product of farmed fish, there is a solution. Specifically, farmers have introduced a kind of animal called the mollusk. It can feed on bacteria created by farmed fish, thereby reducing water pollution. Secondly, the fish in captivity are unlikely to mate successfully with wild fish due to genetic variation. According to research, genetically modified fish lose their reproductive capacity, so it is impossible for fish which have escaped from farms to cause interbreeding issues. Finally, scientists have found biological ways to recycle water contaminated by shrimp farms. For example, by using tiny aquatic plants, farmers can handle the issue of wasting water. These plants can survive in salt water and effectively absorb salt. This reduces salinity in water, and, by using this method, once-polluted water can be used again. 5 학생들의 생생한 후기 R/C: 바다 양식은 해롭다. 본론 1: 좁은 곳에서 물고기가 많이 살게 되면 by-product ( 부산물 ) 을 배출해서 박테리아 수를 증가시켜 바닷물을 오염시키다. 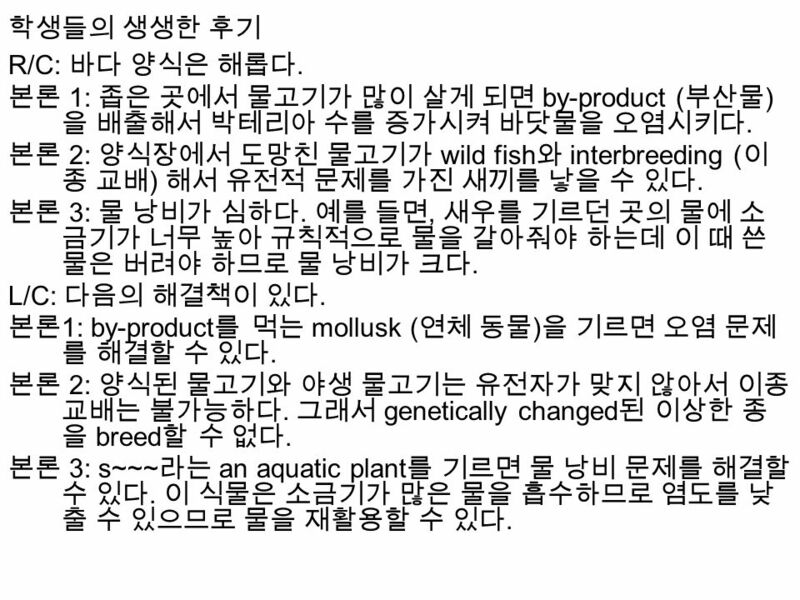 본론 2: 양식장에서 도망친 물고기가 wild fish 와 interbreeding ( 이 종 교배 ) 해서 유전적 문제를 가진 새끼를 낳을 수 있다. 본론 3: 물 낭비가 심하다. 예를 들면, 새우를 기르던 곳의 물에 소 금기가 너무 높아 규칙적으로 물을 갈아줘야 하는데 이 때 쓴 물은 버려야 하므로 물 낭비가 크다. L/C: 다음의 해결책이 있다. 본론 1: by-product 를 먹는 mollusk ( 연체 동물 ) 을 기르면 오염 문제 를 해결할 수 있다. 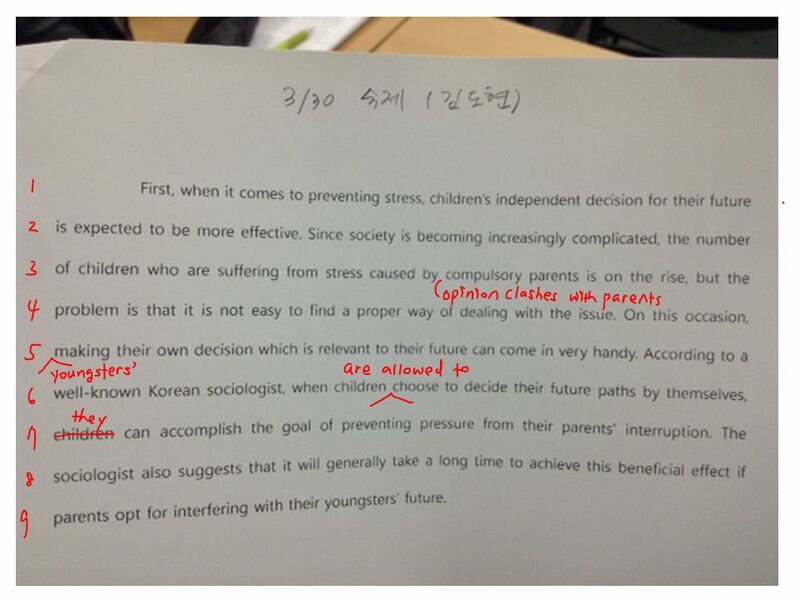 본론 2: 양식된 물고기와 야생 물고기는 유전자가 맞지 않아서 이종 교배는 불가능하다. 그래서 genetically changed 된 이상한 종 을 breed 할 수 없다. 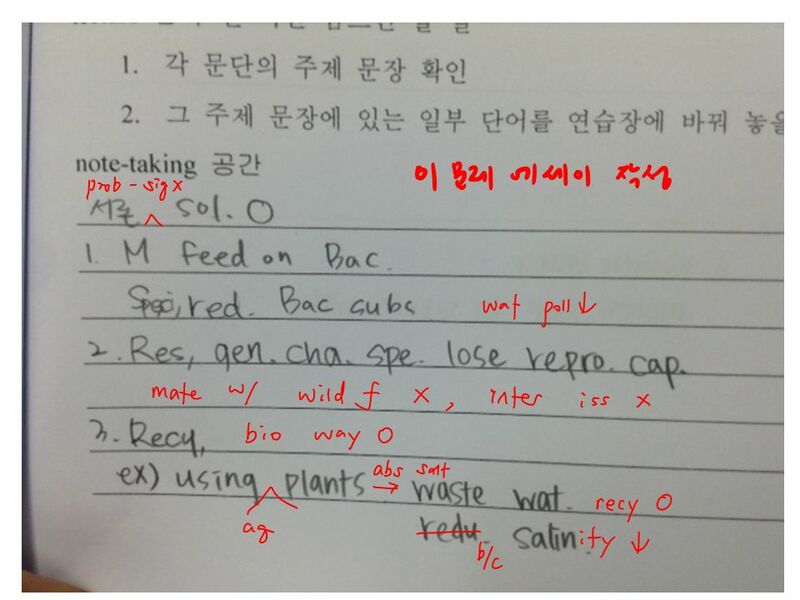 본론 3: s~~~ 라는 an aquatic plant 를 기르면 물 낭비 문제를 해결할 수 있다. 이 식물은 소금기가 많은 물을 흡수하므로 염도를 낮 출 수 있으므로 물을 재활용할 수 있다. 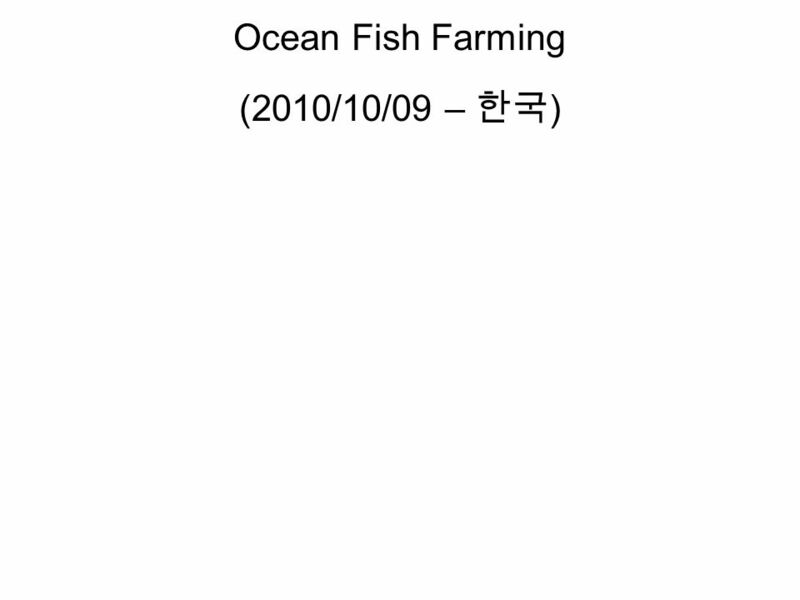 Download ppt "Ocean Fish Farming (2010/10/09 – 한국 ). Fish farming is the practice of captive-raising fish for consumption or other human use. It's also known as aquaculture." 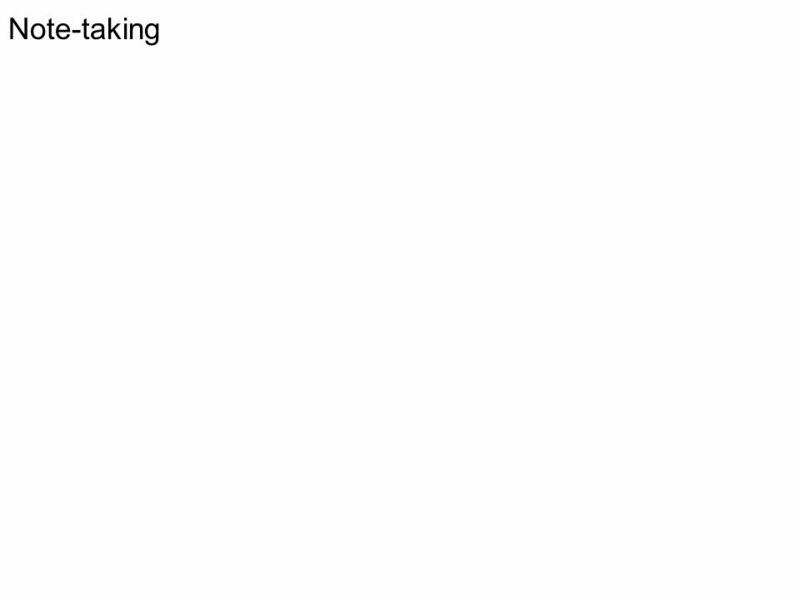 “Grammar to Explain” That was the reason why he had left. (=for which) 그것이 그가 떠난 이유였다. [ 그 때문에 그가 떠났다 ]. This is the way he has escaped. 이것이 그가 탈출한 방법이다. Chapter 7 MEIOSIS( 감수분열 ). Why must organisms reproduce? 길 위의 인문학 – 부산남구도서관 “ 부산의 길, 부산을 만나다 ” 부제 부산의 길, 해양수도의길, 세계를 만나다 참여 후기 이재경. 소프트웨어 프로세스. 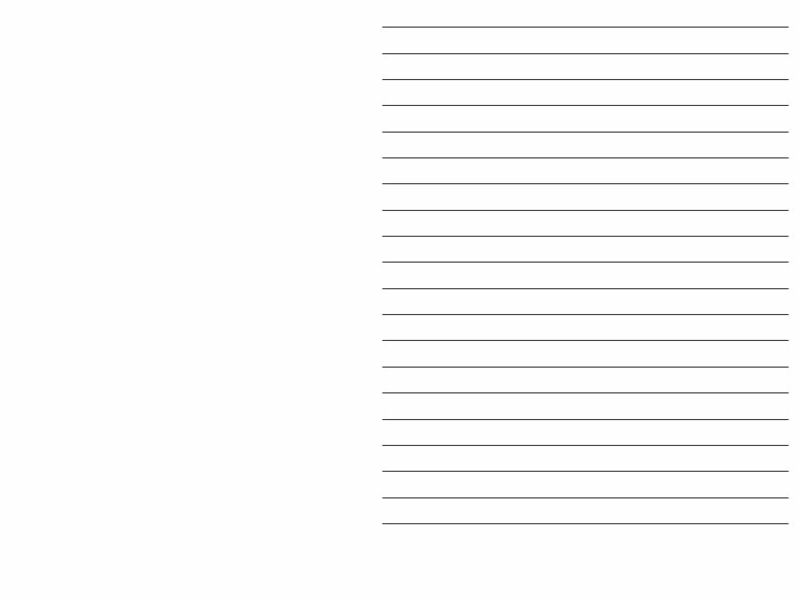 1 내용  소프트웨어 프로세스  생명주기의 의미  생명주기 모델 –Waterfall Model –prototyping model –Spiral Model –Iteration Model. 표지 읽기 The title is _____________. 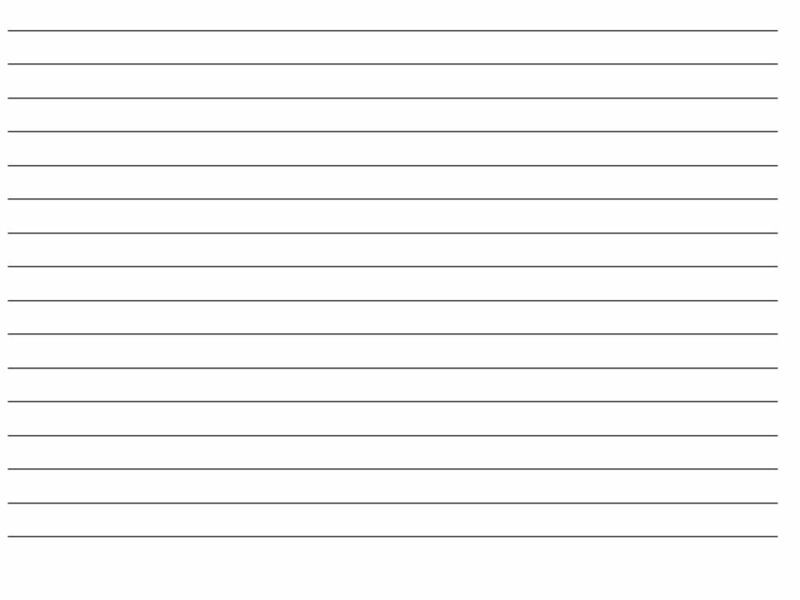 This is written by ____________. What is this? Right. 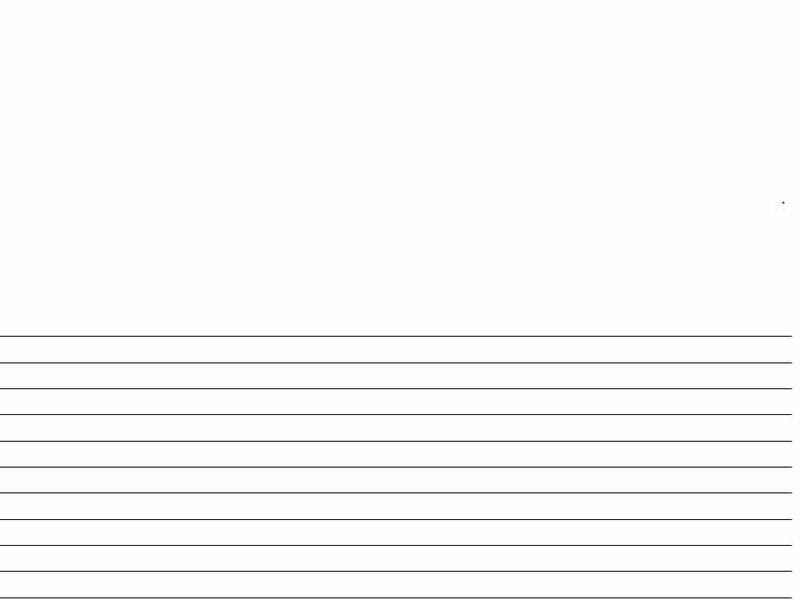 It’s _______. What are these? Right. They’re ______. What color.